Concrete is composed of aggregates such as crushed rocks and sand, cement, and water. The aggregate is held together by the cement. Upon drying, there is the formation of a stiff solid whose capacity to withstand cracking and breaking is dependent the surface beneath. Asphalt is also made of aggregate. However, unlike concrete which uses cement as the binder, asphalt uses bitumen. Asphalt is constructed by pouring a hot mixture of bitumen and fine aggregate onto a bed made of heavier aggregate. A steamroller is then used to press it. Upon cooling, asphalt is strong enough to withstand any defects on the surface beneath. 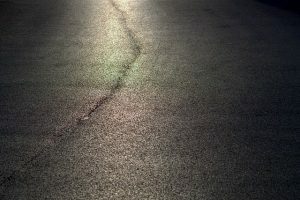 Let us now discuss the asphalt Vs. concrete driveway by looking at their differences and see why asphalt is superior to concrete. Asphalt is cheaper to construct than concrete. In most cases, asphalt is up to 40% cheaper than concrete. When it comes to repairing, asphalt driveway is far much cheaper than concrete paving. The process of removing and replacing damaged asphalt is easier, quicker, and cheaper than that of concrete. Asphalt is made of recyclable materials. 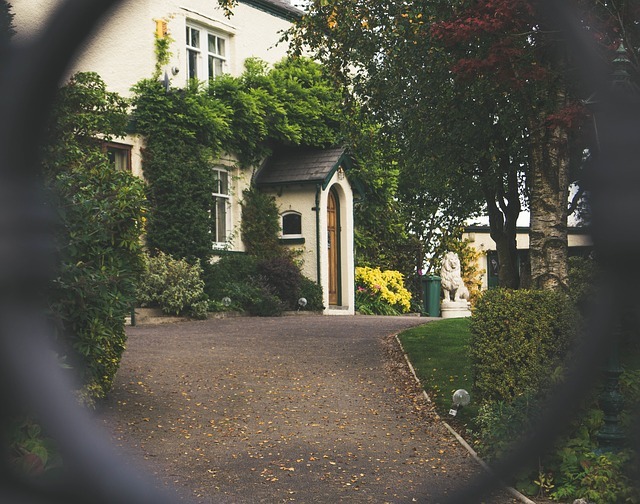 When it comes to repair and maintenance, it takes less money and time for asphalt driveway than it takes for a concrete driveway. When you want to resurface your asphalt driveway, you just put a new asphalt over the old one and then run a steamroller over it. The process is faster and cheaper than when resurfacing a concrete paving. Resurfacing of an asphalt driveway returns it to its original smoothness. Laying of a new asphalt takes between one and two days. The only determinant of the time taken is the size of the project. Concrete, on the other hand, takes more days. Upon construction, one can use the new asphalt driveway after two to four days. Asphalt takes a longer time to cure during spring than during summer. Concrete, on the other hand, takes up to seven days to cure. However, this can be shortened by using a high early mix, which increases the cost. 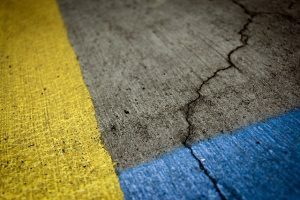 Both asphalt and concrete are prone to cracking. However, cracking doesn’t necessarily mean the pavements are failing. Cracking is more likely to be observed in concrete than asphalt driveway. This is mainly due to it’s flexible. Therefore, an asphalt driveway will not have many cracks, meaning it is very cheap to maintain. For concrete driveways, there are control joints to handle cracking. Also, repairing cracks on an asphalt driveway is easier and less costly than on a concrete driveway. 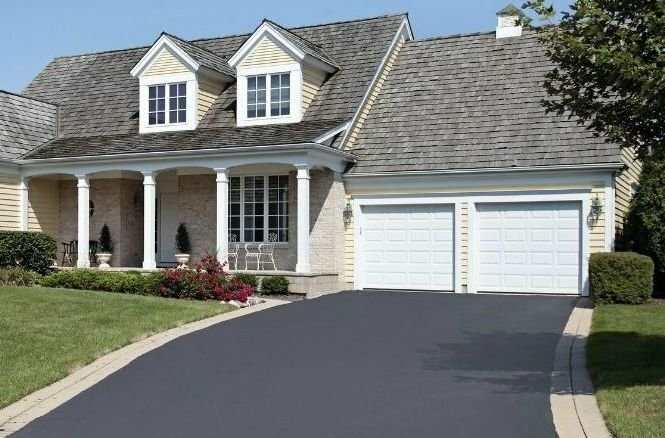 When considering asphalt Vs. concrete driveway, it is important to consider the ease to use during winter. The concrete driveway is not black. During winter, it does not absorb a lot of heat to melt the snow. Asphalt driveway, on the other hand, is dark. As a result, it absorbs more heat during winter, melting the snow faster and enabling one to use the driveway faster than on a concrete driveway. 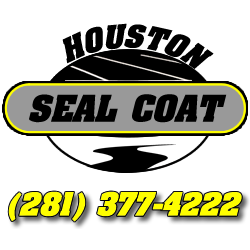 If you have any further questions about sealcoating asphalt please reach out to us and we will be glad to discuss with you further.